We love connecting with our customers. Sign up for our newsletter and receive $25.00 off your sink. How Do Portable Sinks Work? 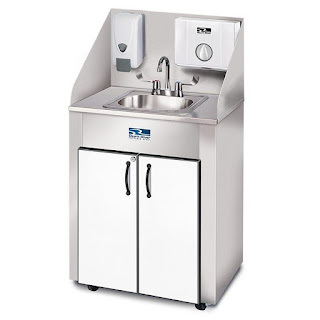 Do You Need a Portable Sink to Meet Health Regulations? 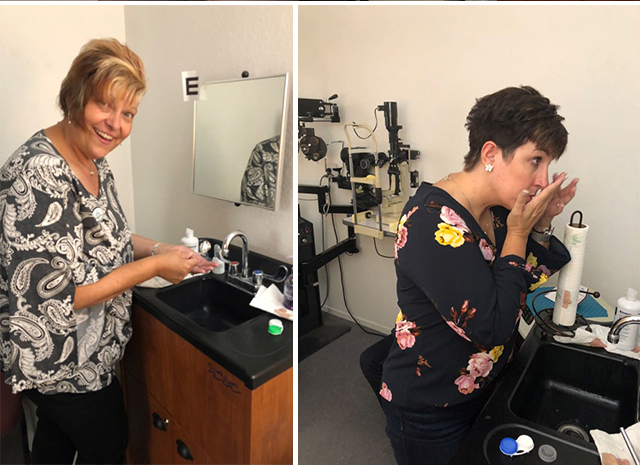 "There is an Optometry law in California that states that all Optometry offices must have a sink that is used only by the optometrist, optometry staff, patients, and their families only. Because I share my office suite with my husband, a chiropractor your sink helped me start my business. 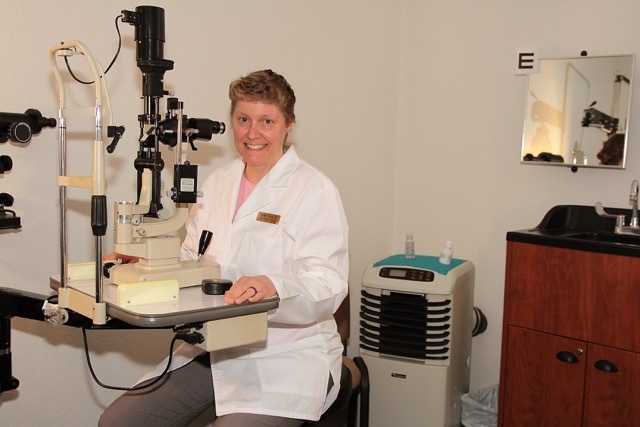 The Optometry board did not send my office location license until I proved that I had a sink separate from the chiropractor and his patients and staff. Your company saved me lots of money not having to hire a contractor to make a hole in my floor and wall and then another contractor to fix the hole. Then after that, there could have been a lot of unplanned expenses. Your sink has been perfect for my situation." Our sinks are all self-contained in an attractive cabinet. Inside the cabinet, there is a fresh and wastewater tank. The tanks are easy to connect and disconnect when it’s time to refill the fresh water and empty out the waste water tank. The huge advantage to our products, is that within our cabinet is an electric water heater and pump. You just have to plug the unit into an outlet, and you’ll have hot and cold running water where you need it - indoors or outdoors. Dr. Robison uses an Ozark River Premier sink in Cherry with a black ABS counter and basin. She loves that she can roll the sink out if needed to help patients learn to put their contact lenses in. Learn more about the Ozark Premier Sink with Black ABS Basin here. We also offer this sink with a stainless steel counter top. Need a sink with a paper towel dispenser too? Check out the Ozark River Elite Pro1 Model here. The biggest battle that employers face when hand washing laws are required is helping employees improve the habit. Washing your hands is truly just that, a habit. 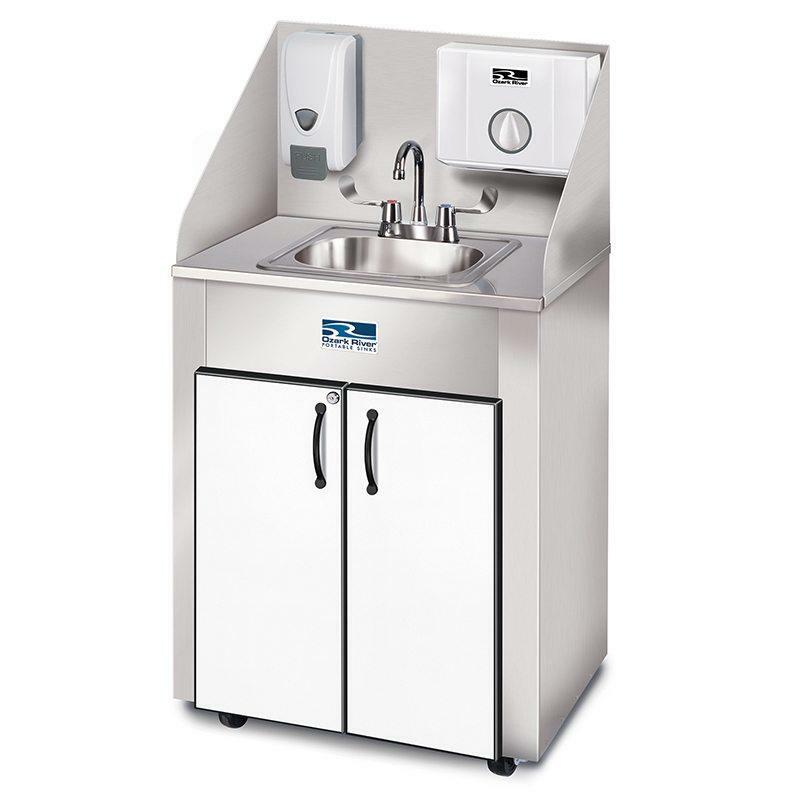 Having easily accessible hand washing stations means that your employees will be able to visually see and remember to wash their hands. All Portable Sinks is Here For You! It’s so easy to put a sink in your office - even if you don’t have plumbing. If you have financing questions or questions about the products, check out our website. We have units that are made for indoors and out, and there are plenty of colors and finishes so that they match your space perfectly. 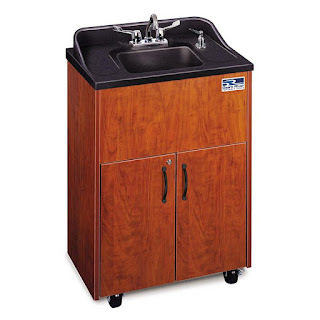 All Portable Sinks - Making Clean-Up Easier! What Are Portable Sinks and How Do They Work? 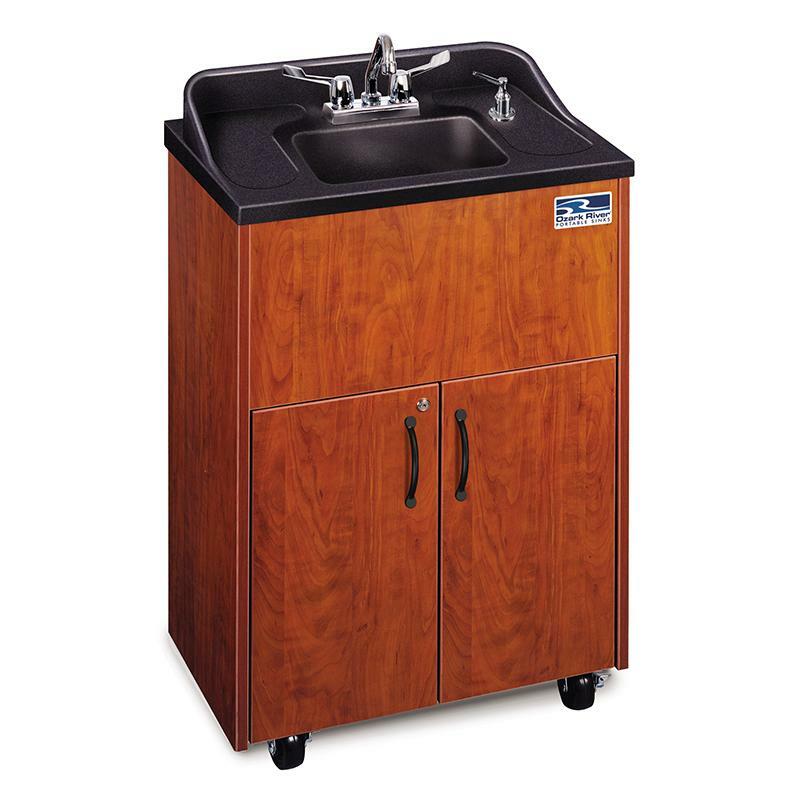 To provide our customers with high quality portable sinks and accessories that are both convenient and well-designed, helping you provide a clean, safe environment for those who matter the most to you… your own children and clients.